Our tire ratings are conducted in order to offer a quality reference for your next purchase, but also to open your horizons to new brands of lesser notoriety that still offer tires with outstanding reliability on the road. 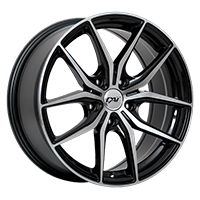 We want to guide you and make your choice easier by offering you the best tires in each category, depending on the season and your type of vehicle. How do we rate tires? The ratings for the best tires summer/all-season and winter tires were performed on nearly 650 products. 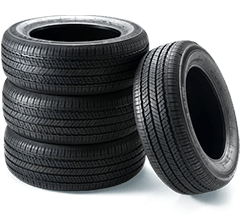 We count over 13 different tires categories for summer/all-season tires and 12 for winter tires. In addition, a detailed assessment according to 11 criteria is offered in order to know more about the products. Each tire has its strengths and weaknesses, making it easier for you to determine which one best suits your riding style and performance you are looking for as a driver. All drivers have a driving experience that allows them to have accurate expectations for their next purchase of tires. Therefore, the conclusions for the same tire differ from one user to another. Our ratings are based on a neutral point of view, through a comparison of several internal and external sources. Well known in the automotive field, especially in certain magazines, our tires rankings are the result of road tests by members from the PMCtire team, as well as a comparison of our ratings with other specialists. In addition, we take into account the views of customers and other consumers who express their satisfaction or dissatisfaction through Canadian forums. All these sources allow us to offer a representative rating of tires performance. Fact: In some ratings, pointing differences are slim, since most manufacturers use similar technologies to fulfill demand and adapt correctly to the market.